Best Alcohol Free Toners in India: Our Top 10! Have you experienced sudden breakouts or enlarged pores on your face? We know you hate it, but blame the imbalance of pH levels that brings sudden disrupts to your face. And if one thing that can help in restoring the pH level of your skin, it is the ‘T’ in your CTM routine. Yes, we are talking about toners, they are your skin savior which many of us skip or ignore in our skin care routine. But we urge you that you bring toning back into your regime because it removes last traces of dirt on your face, shrinks pores, fights acne, boosts your skin and of course maintains the pH level of your skin. But if you choose a wrong toner on your skin then your skin can have its own mind! So to save you from such a problem, we are going to share top 10 alcohol-free toners. Why alcohol-free toners? Because alcohol dries up your skin and can cause trouble for sensitive skin and dry skin people. 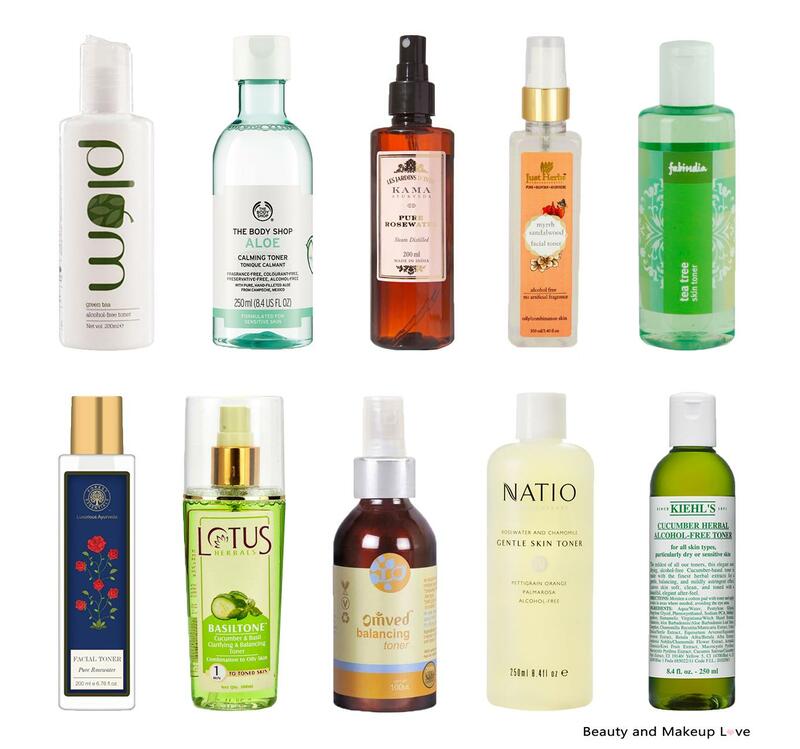 So read further and get your hand on the best toner. Continue reading Best Alcohol Free Toners in India: Our Top 10! Posted on November 19, 2016 November 22, 2016 Author PriyaCategories Best of the Best, TonerTags Alcohol Free Products, Alcohol Free Toners, Best Alcohol Free Toners India, Best Toners in India, Indian Beauty Blog, List of Alcohol Free Toners, Paraben Free Toner, Toners in India, Top Alcohol Free Toners IndiaLeave a comment on Best Alcohol Free Toners in India: Our Top 10!